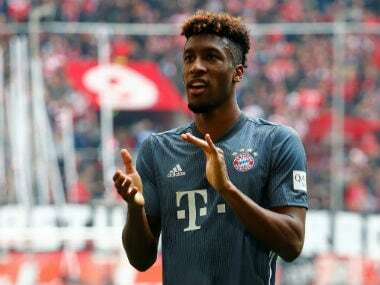 Berlin: Jadon Sancho's first-half brace and Roman Buerki's goalkeeping heroics helped pile the pressure back onto Bayern Munich in the Bundesliga title race as Borussia Dortmund survived a late scare to secure a 2-1 win over Mainz on Saturday. 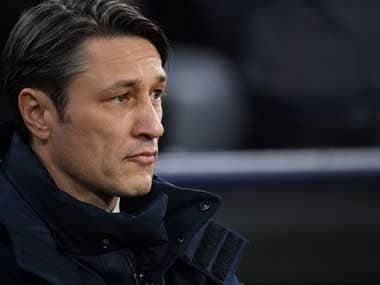 Dortmund were left licking their wounds after a 5-0 humiliation in Munich last weekend saw them slip a point behind Bayern, but they showed both steel and style on Saturday to secure three points and go top of the table overnight. Two early goals from England international Sancho appeared to put Dortmund on course for an easy victory, but they were forced to weather a second-half onslaught from Mainz. "We knew we needed to make a statement today. The first half was fine, but I can't explain why we stopped playing football in the second half," Dortmund captain Marco Reus told Sky. "It is a question of mentality. We have a lot of young players, and we need to stay relaxed and keep having fun." 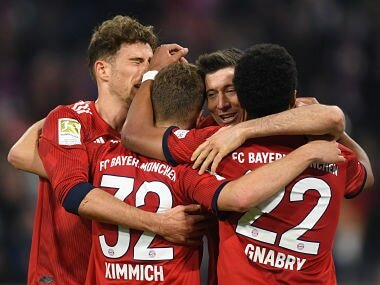 Reus, Sancho and co will now go to bed as league leaders, with Bayern needing a win at Fortuna Duesseldorf on Sunday to regain their grip on top spot. Dortmund took the lead with an inch-perfect move on 17 minutes. Mario Goetze's bending cross found Sancho, who didn't even break his stride as he thumped the ball past Florian Mueller from close range. Sancho doubled the lead shortly afterwards with the help of a deflection from Moussa Niakhate. Yet a familiar fragility crept into Dortmund's defending as the game wore on, and they were forced to rely on the determined brilliance of Buerki. The Dortmund keeper kept Mainz at bay for much of the second half, before Robin Quaison pulled a goal back for Mainz six minutes from time. Buerki then kept out the equaliser with an incredible triple save at a corner a few minutes later. "It's nice to help your team win, but we played too fearfully after they scored," Buerki told Sky. Earlier on Saturday, a 1-0 win over crisis club Hanover kept Borussia Moenchengladbach in the race for Champions League football. Having dropped out of the top four earlier this month, Gladbach picked up only their second win in nine games against bottom-of-the-table Hanover. "It was really important for us to finally win a game again today. It will do us a lot of good," said Gladbach midfielder Christoph Kramer. Brazilian striker Raffael grabbed the winner just after half-time, flicking a loose ball over the head of Hanover keeper Michael Esser. Gladbach now sit in fifth, a point behind Eintracht Frankfurt, who play Augsburg on Sunday. Elsewhere, RB Leipzig strengthened their grip on third with a comfortable win over Wolfsburg. Kevin Kampl curled in the opener on 16 minutes, before Timo Werner headed in a second to notch his third goal in four games. Defeat is a setback for Wolfsburg, whose fellow European hopefuls Werder Bremen and Bayer Leverkusen both won on Saturday. Bremen snuck into a Europa League place thanks to a 2-1 win over Freiburg. Late headers from in-form Dutch midfielder Davy Klaassen and Theodor Gebre Selassie sealed the three points for the home side, despite Luca Waldschmidt's even later consolation goal for Freiburg. Leverkusen, meanwhile, battled to a 1-0 victory over relegation-threatened Stuttgart thanks to a Kai Havertz penalty. The win puts Leverkusen seventh, in the centre of a thrilling race for Europe. A single point separates Bremen in sixth from ninth-placed Hoffenheim, who play Hertha Berlin on Sunday.